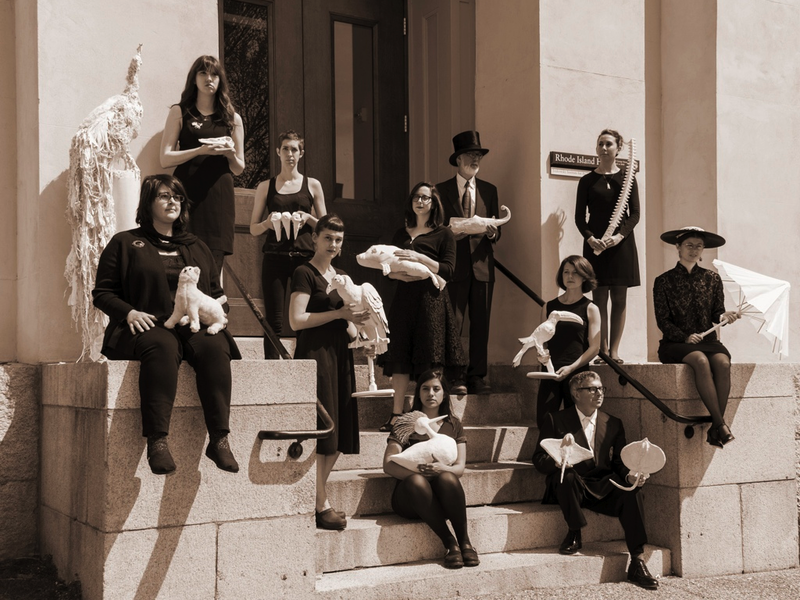 Left to right: Kate Duffy, Jessica Palinski, Sophia LaCava-Bohanan, Raina Belleau, Layla Eshan, Elizabeth Crawford, Steven Lubar, Kristen Orr, Mark Dion, Lily Benedict, Becky Soules. Not Pictured: Jamie Topper. Photo by Jodie Goodnough. The Jenks Society is an association of artists, scholars, and public humanists united by an interest in Lost Museums.